What Is The Definition Of Approach In Bowling? 1. The approach in bowling is the area that spaces from the back of the lane to the foul line, which spans about 15 feet. This can also refer to the steps the bowlers takes to deliver the ball over the foul line. 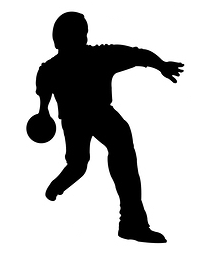 For example, a bowler may have a basic “four-step approach”. 1. Johnson takes a deep breath and steps up to the approach before he makes his attempt to even up this match.